The name Garrybreeda is derived from the Irish ‘Garraí Bride’ and means the eld of Brigid. It is suggested that this is the site of an Early Christian monastery, c. 6th – 10th century. 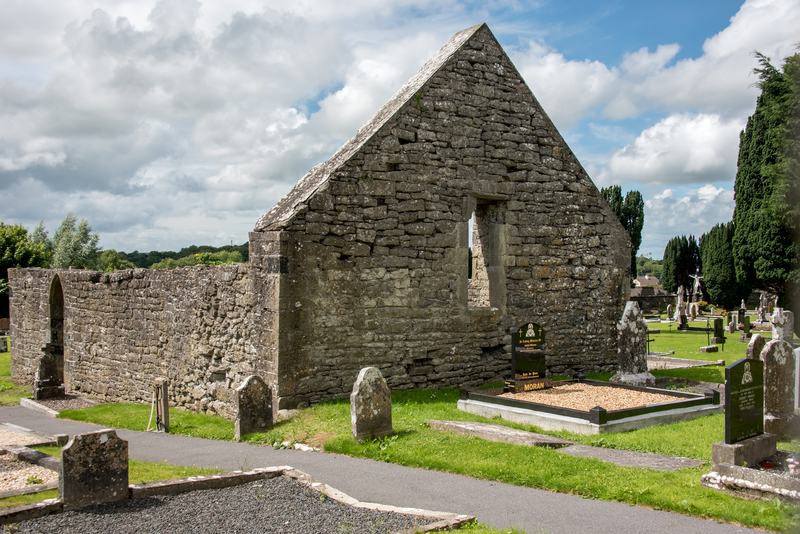 The ruins of Loughrea’s medieval parish church date to c. 13th – 15th century and can be seen at this site. This church once housed the Shrine of St Brigid’s shoe, a bronze slipper that is said to have contained the original slipper worn by the saint. The slipper, now in the National Museum of Ireland, bears the inscription “Loch Reich Anno Domini 1410. S. Brigida Virgo Kildariensis Hiberniae Patrona”.